Welcome to my Friday bonus feature called Karen’s Killer Fixin’s **Author Special**!! Today, in lieu of one of my own recipes, I’m going to introduce you to a new author who will share one of her favorite recipes. 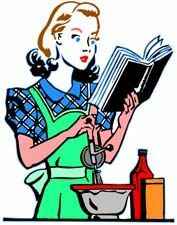 Not only will you and I occasionally learn how to make something new and delicious, but we’ll get a chance to check out some wonderful authors. Introducing author, KAT MARTIN, and her favorite recipe for BACON, TOMATO, BALSAMIC PASTA!! When Victoria Bradford got engaged, she told herself to give love a chance. Six months later, she’s on the run from her angry, abusive ex-fiancé with her four-year-old daughter and nowhere to go. One look tells Josh the pretty redhead with the adorable little girl will give him trouble of the most personal kind. But he’s seen trouble before, and he doesn’t scare easy. Not when “accidents” start happening around the ranch. Not when Tory’s best friend back in Phoenix is abducted and brutalized. Not even when it looks like their current problems are only the tip of the iceberg. But if he gets too close to fierce, determined Tory, Josh knows his nights are going to be anything but quiet. And that’s one possibility no amount of training can prepare him for . . Since my new book, BEYOND CONTROL–Josh Cain and Victoria Bradford’s story–is set in Texas, I thought it might be fun to talk about one of my favorite places. There is something special about Texas. My husband and I lived in Houston for a couple of months one summer and it was a wonderful experience, though at times it was sort of good news and bad. The people in Texas are extremely friendly, and they always seem to be in a good mood. We gorged ourselves on gourmet meals in some of the country’s finest restaurants, but also ate a ton of delicious Tex Mex, Asian, Indian flatbread, and just about everything else. We visited art galleries, the beach, and some of the beautiful ranches in the area. That was the good news. The bad news was Houston in August is HOT. It’s also muggy and sticky and you just can’t wait for October to arrive. Two years ago, we traveled to Lubbock for a Western Writers of America conference. I was reluctant to go in the summer, but it turned out to be a really great trip–hot but dry. We visited some great museums and met some fun people, including old-time movie star, Barry Corbin, who’s been in everything from Urban Cowboy to The Best Little Whore House in Texas–along with forty-three other movies. For the past few years, I’ve been setting my stories in and around Dallas, one of my favorite U.S. cities. In BEYOND CONTROL, Victoria Bradford and her four-year old daughter are on the run from Tory’s abusive ex-fiancé. Seventy miles north of Dallas, the Iron River Ranch is pretty much nowhere, exactly what Josh Cain wanted when he came back from Afghanistan. Big skies, quiet nights, no trouble. When Tory shows up with her adorable little girl, Josh realizes he is in for trouble of the most personal kind. But Josh has seen trouble before, and he doesn’t scare easy. Not when “accidents” start happening around the ranch. Not when Tory’s best friend is abducted–not when it looks like things are going to get worse. I’ve had great fun writing books set in Texas, including BEYOND REASON and BEYOND DANGER, the first in my Texas Trilogy. Fortunately, I get to write four more novels set in Dallas around the Maximum Security Agency. Chase Garrett (You meet him in BEYOND DANGER) runs the company and is the hero of my first book. It’s out in January of next year. Victoria Bradford drove the old blue Chevy Malibu along the two lane road. Up ahead, a sign hung above a narrow dirt track running off to the west, IRON RIVER RANCH. “Are we there yet, Mama?” Ivy, her four year old daughter, had asked at a dozen times since they’d left the Walmart parking lot in Iron Springs. The ten mile drive didn’t take long, but to a four year old who’d been in the car for days, they couldn’t reach their destination soon enough. “We’re very close, sweetheart. This is the turn, right here.” Tory checked the gas gauge as the wheels left the pavement and started rumbling over the bumpy dirt road. Less than an eighth of a tank. She hoped the ranch wasn’t much farther. More than that, she prayed the job hadn’t already been filled. She sighed as the aging Malibu rolled along. She was basically in bumfrick Egypt, ten miles north of Nowhere Springs, almost out of gas, with twenty three dollars and thirty three cents in her wallet. Last night, without enough money for a motel room and afraid to use her credit cards for fear Damon would somehow track her, they’d slept in the car in the Walmart parking lot. As soon as the McDonald’s opened, she had pulled into the drive-thru and bought Sausage McMuffins, then driven out to the ranch to somehow convince the owner to hire a woman with a daughter and no actual ranching experience. She thought of the ad in the paper she had spotted last night on the counter in the Iron Springs Café. If she somehow managed to get the job, it would be perfect. Besides a steady paycheck and the ranch being way off the grid, the position included the use of a double-wide trailer. After being on the road for the past three weeks, living out of motel rooms and suitcases, the trailer sounded like a palace. “Look, Mama, there it is!” Ivy pointed toward the cluster of buildings up ahead, a couple of barns, several fenced training arenas, and a two-story home with dormer windows and a covered porch running the length out in front. A double-wide sat fifty yards away. Vast stretches of open green pastureland surrounded the complex where horses and cattle grazed, and there were ponds and woodlands in the distance, and dense copses of trees. The Chevy bumped over the last patch of road, pulled up in front of the house, and Tory quickly turned off the engine. No use wasting what little gas she had left. Her gaze swung in that direction. There was, indeed, a man. The noisy buzz of a saw covered the sound of their arrival, giving her time to assess him. Shirtless, he was working with his back to them, broad, tanned, and muscled above a narrow waist that disappeared into a pair of faded jeans. The jeans hugged a round behind and long, powerful legs. He was tall, she saw when he straightened away from his work and walked into the barn, with medium brown hair cut short. She got her first look at his face when he walked back out, handsome, with a solid jaw and masculine features, at least three days’ growth of whiskers. The front of him was just as impressive as the back, a broad chest with solid pecs, muscular biceps, and six pack abs. Unease filtered through her. This was a strong, powerful male. She knew first hand what a man like that could do to a woman. Tory forced down the notion. Not all men were like Damon. Before she’d met him, she had been married to a good and decent man, the father of her child. Jamie Bradford, her high school sweetheart, was one of the gentlest people she’d ever known. Her father was a good man, before he’d fallen in love with his secretary and divorced her mother, leaving the two of them alone. Ivy sank down in her booster seat, trying to make herself invisible. Tory had survived the fights, arguments, and finally the brutal beating Damon had given her that had put her in the hospital. Though he had never hurt Ivy, the little girl had seen the results of his mistreatment, leaving her with an unnatural fear of men. Tory glanced at the big, thick-chested male striding toward her, shrugging into a blue denim shirt. Ivy would be terrified of him. If there was any other way, she would climb back in the car and just drive away. There wasn’t. Tory started walking, meeting the man half way. She glanced around but didn’t see a soul besides the big man in front of her. Her uneasiness returned but she forced it away. He turned and started striding back to the barn. She probably should be at least a little afraid of him. Oddly, she wasn’t. Then again, she hadn’t been afraid of Damon, either. Leanne Marshall is a Scottish born and bred romance writer with more than the average person’s life experience. She has been a torrent of wild things, including singer in a girl band, animal rights activist and charity owner, worked in radio and offered jobs in TV. A passionate, restless soul, who has always found peace in writing, the only way to calm that fiery spirit. She uses her wit and dark humour to her advantage in her works and has been an avid reader for most of her life. Her influences vary, but from early life and a teen stint in journalism, she applies logic to most of her plot lines, is a self-confessed research fiend, and likes a lot of psychology behind her characters actions. She currently resides in Central Scotland with her two children and Fiancée of 13 years, making waves in the book world with her signature ‘WTF moments’ she likes to apply in each story, hints of humour and devastating emotional rollercoaster rides. I hope you enjoy the recipe Kat is sharing today on Karen’s Killer Fixin’s. Happy Eating! P.S. We’re at 378 recipes and counting with this posting. Hope you find some recipes you like. If this is your first visit, please check out past blogs for more Killer Fixin’s. In the right hand column menu, you can even look up past recipes by type. i.e. Desserts, Breads, Beef, Chicken, Soups, Author Specials, etc. Meanwhile, in a large skillet, cook bacon over medium heat until crisp. Remove to paper towels with a slotted spoon; drain, reserving 2 tablespoons drippings. Sauté tomatoes, garlic, and onions in drippings until tender. Drain spaghetti; stir into skillet. Add the spinach, bacon, vinegar, salt and pepper; heat through. Sprinkle with cheese. Yield: 4 servings. To CELEBRATE the release of BEYOND CONTROL, enter my new contest for a chance to win a KINDLE FIRE 7″ Display, Wi-Fi, 8 GB and a Kindle copy of AGAINST THE WIND, AGAINST THE FIRE and AGAINST THE LAW. Contest runs from May 1, 2018 through June 30, 2018. For JUNE, Kat Martin is giving away to THREE winners a copy of both INTO THE FIRESTORM and SEASON OF STRANGERS. Thanks, Kat, for sharing your book with us! This entry was posted in Karen's Killer Fixin's and tagged **AUTHOR SPECIAL**, Pasta & Rice, Vegetables. Bookmark the permalink. Good morning, Kat, and welcome back to Karen’s Killer Fixin’s! I love this excerpt. I’m already a little in love with Ivy and her mom. I always love a big protective man. Can’t wait to read their story. Thanks for sharing it with us today. Thanks for the recipe, too! Sounds yummy. Kat, so interesting to learn more of your background. Thanks for filling us in! I’m so looking forward to reading “Beyond Control”. The recipe is going to be a good dish, for sure! Hi Kat and Karen!! Kat, thank you so much for sharing your book. It sounds like another great read!! I look forward to reading it! !